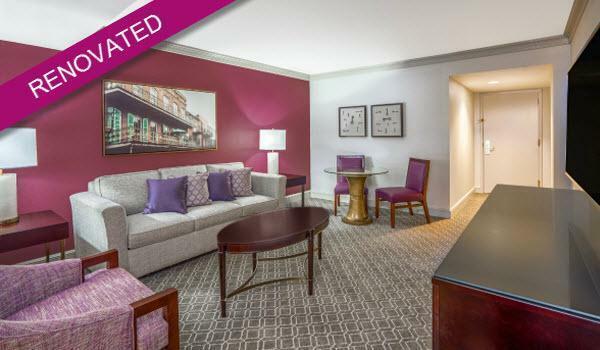 The Astor has a four night minimum requirement with those staying the longest given the highest priority placement in the main hotel. A Wednesday (July 7th) to Sunday (July 11th) stay is required to stay in the main hotel. 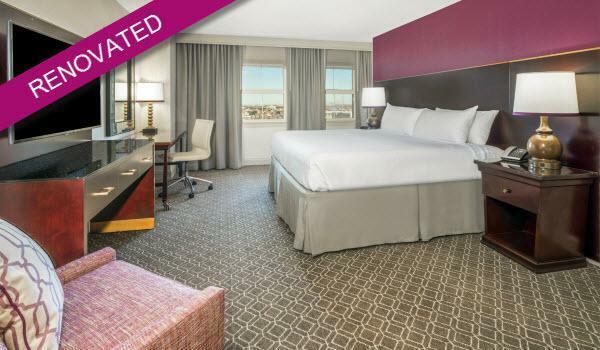 Following the 2016 event, the hotel started a top to bottom renovation of their rooms. They installed brand new bathrooms as well as new bedding and decor. 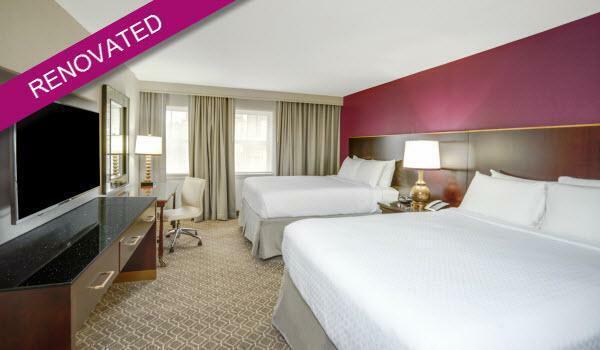 Every room is brand new and perfect for those looking to get "Naughty". 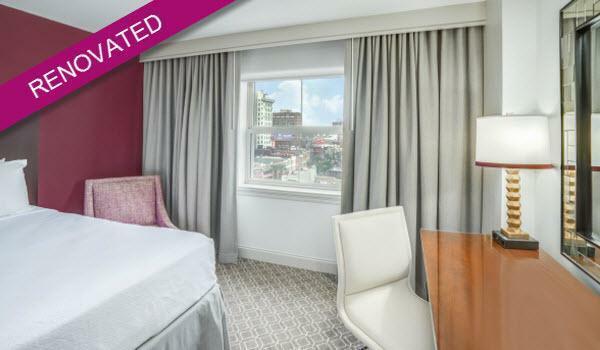 Enjoy the city view of historic New Orleans in a modern Newly renovated guestroom and features 1 king bed for up to two guests, an executive work desk and chair, spacious bathroom with granite vanity and 49” HDTV. Free basic High Speed wireless internet is available and upgraded speeds for optional purchase. The hotel is 100 percent nonsmoking. 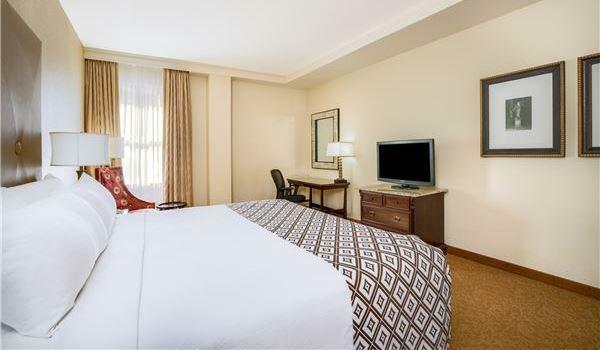 A newly renovated modern king bed guestroom offering an executive work desk and chair, spacious bathroom with granite vanity and 49” HDTV. Free basic High Speed wireless internet is available and upgraded speeds for optional purchase. The hotel is 100 percent nonsmoking. The hotel is 100 percent nonsmoking. 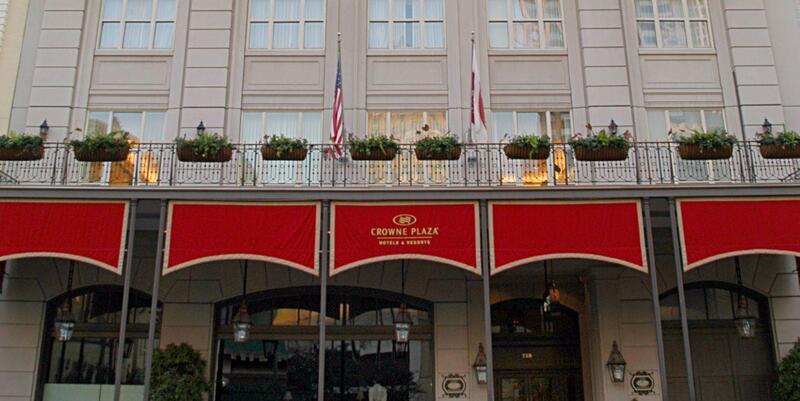 Enjoy historic city views of New Orleans in a newly renovated guestroom featuring two queen beds for up to 4 guests. 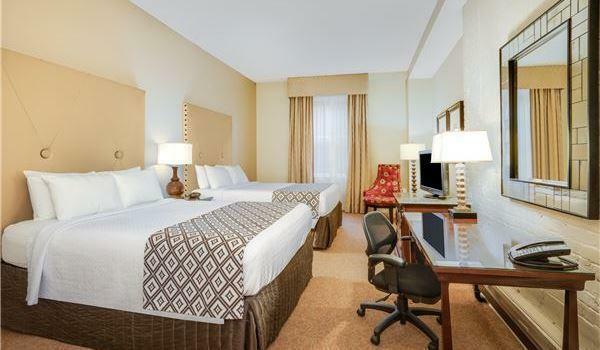 Stay productive with an executive work desk and chair, spacious bathroom with granite vanity and 49” HDTV. Free basic High Speed wireless internet is available and upgraded speeds for optional purchase. The hotel is 100 percent nonsmoking. 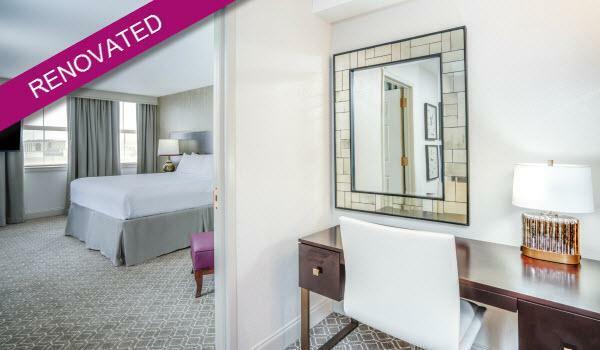 Located in historic Alexa Tower, these room features two queen, an executive work desk and chair, spacious bathroom, high ceilings, and pay movie channels. Free basic High Speed wireless internet is available and upgraded speeds for optional purchase. The hotel is 100 percent nonsmoking. 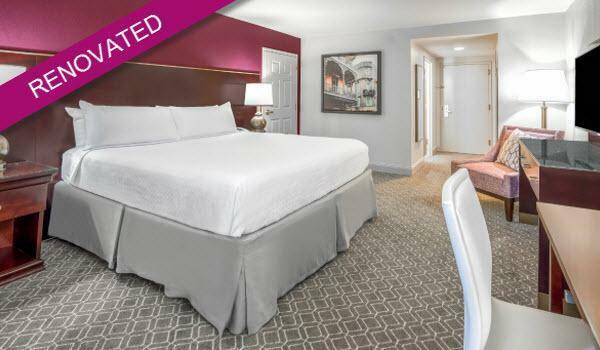 Located in historic Alexa Tower, this room features one king bed, an executive work desk and chair, spacious bathroom, high ceilings, and pay movie channels. Free basic High Speed wireless internet is available and upgraded speeds for optional purchase. The hotel is 100 percent nonsmoking.